Water For People is a global nonprofit working across nine countries, bringing together communities, local entrepreneurs, and governments to build and maintain water and sanitation services that will last. 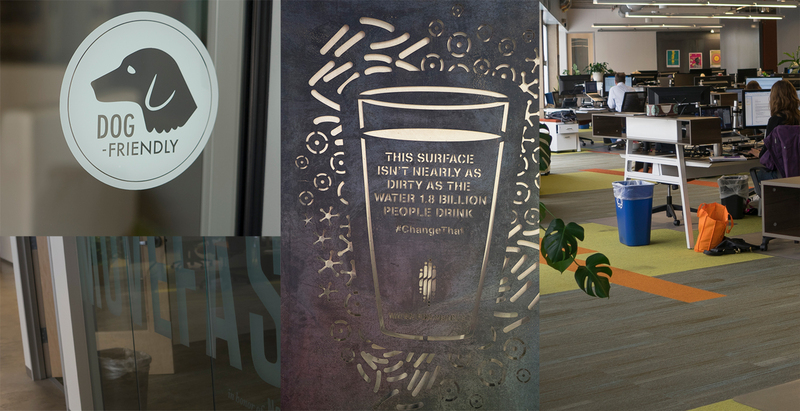 We have a sustainable solution to end the global water and sanitation crisis, and our employees around the world help drive this solution. Connects to the Mission – Embraces the mission of Water For People and is passionate about advancing the dynamic role it plays leading social impact in international development. Understands and demonstrates how own efforts impact on the larger organization and operates in alignment with the vision, values and strategic objectives of the organization. Demonstrates Ethics and Integrity – Understands ethical behavior and business practices and ensures that own behavior is consistent with these standards and aligns with the values of the organization. Consistently follows through on commitments and lives our values of accountability, courage, empowerment, partnership, and transparency. Manages through Ambiguity - Identifies, supports, and champions opportunities for change and continuous improvement. Trusts the judgment of the field staff. Demonstrates Cultural Awareness - Shows empathy, a high comfort level in the low- and middle-income countries, and unquestionable integrity; able to engage the wide range of stakeholders from a variety of backgrounds and cultures. Action-oriented - Takes an entrepreneurial, adaptable, and innovative approach to completing tasks. Has an unwavering commitment to delivering quality work products. Connects with Others - Demonstrates exceptional communications and interpersonal skills, exceptional networker, key influencer, and be comfortable representing Water For People across a wide variety of audiences. Self-confident - Demonstrates humility, mature confidence and courage to innovate, risk, and lead in own role. Is unafraid and willing to take risks and courageously find new ways to achieve the organization’s desired impact. This position is based at Water For People Headquarters in Denver, Colorado. *Note: This job description is not intended to be an exhaustive list of all duties, responsibilities, or qualifications associated with the job. This is an exempt, full time position with a comprehensive benefits package. Salary is competitive and commensurate with level of experience. Only shortlisted candidates will be contacted.